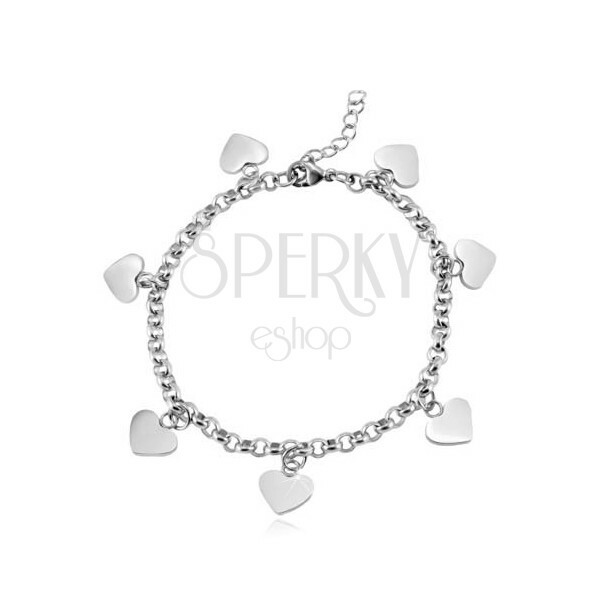 316L steel bracelet in silver shade, seven pendants - full symmetrical hearts, chain of circular rings. Steel bracelet in silver colour consists of circular rings. On the chain dangle seven identical pendants in the form of symmetrical hearts with reflective and smooth surface. The chain has an adjustable length and a lobster clasp.